Over 51% of all traffic to motorcycle dealership websites comes from a phone or tablet device. Make sure your website makes the right impression across all devices. Responsive Website Design is a technology that allows a website to automatically resize based on the resolution of the device trying to access it. For example someone viewing a responsive website on a smartphone screen sees a different layout than someone on a wide-screen laptop. 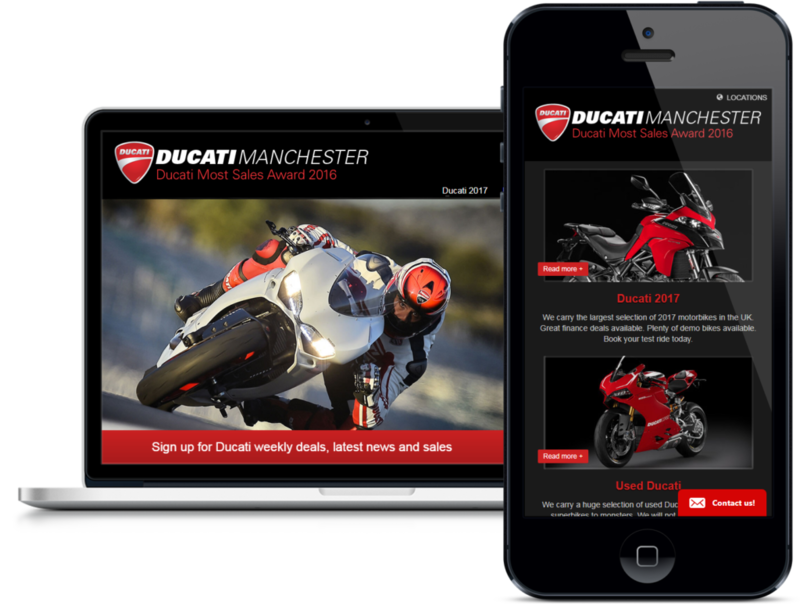 Our responsive motorcycle dealer websites deliver the best experience, regardless of device size. Google has recommended responsive web design as their preferred website technology. Responsive websites load faster, reduce potential crawling errors, and reduce bounce rates due to time-outs. A responsive website provides your potential customer with the best user experience possible – which results in higher conversions, leads, and sales.